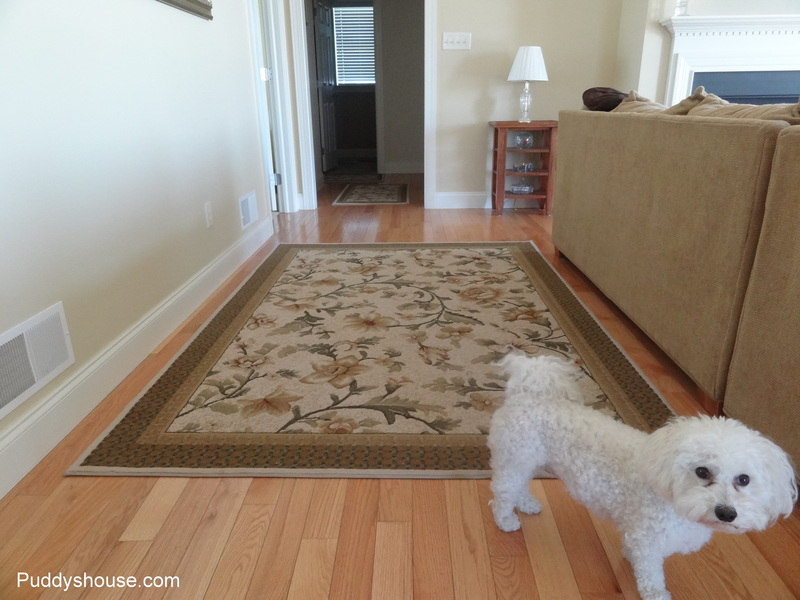 We have two rugs that I have had to reposition on a daily basis for years. 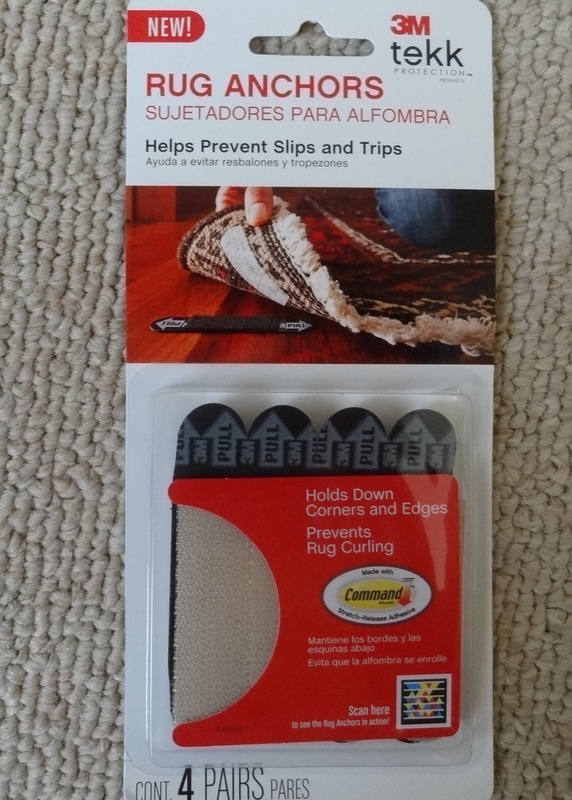 They each had the traditional rug gripper under them. You can see the rug gripper peaking out from underneath as well. The rug in the background in the hallway had this problem as well. But, fortunately at the Haven Conference, 3M had a booth and they were giving away products. The representative handed me Rug Anchors. 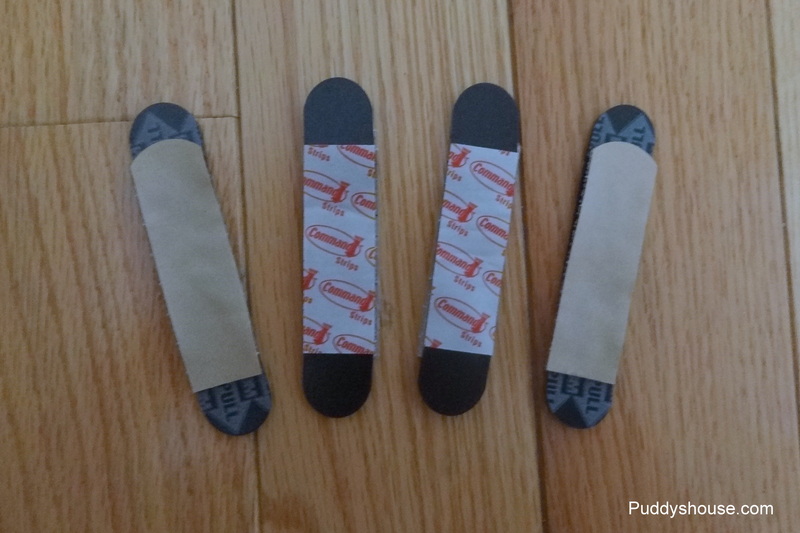 They are a new product, that are basically command strips to hold your rugs in place. I explained to the representative that I had 2 rugs that I had to reposition every day, so he kindly gave me 2 sample products. I initially tried the rug anchors on the small rug in the hallway to see if they worked. I’ve had them in place for over a month on that rug and it hasn’t budged! 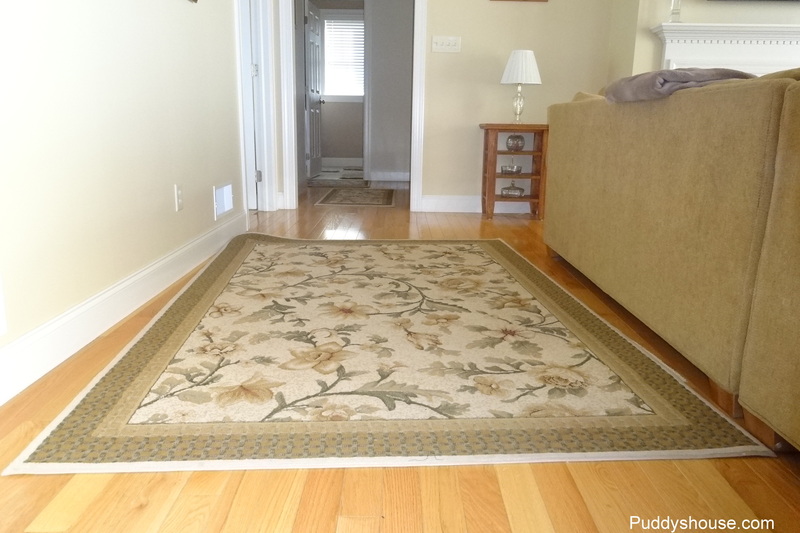 Bob actually said how great it was and that we needed to get more to fix the larger rug. I informed him I had another set and that was my plan all along, but I wanted to make sure they worked first. 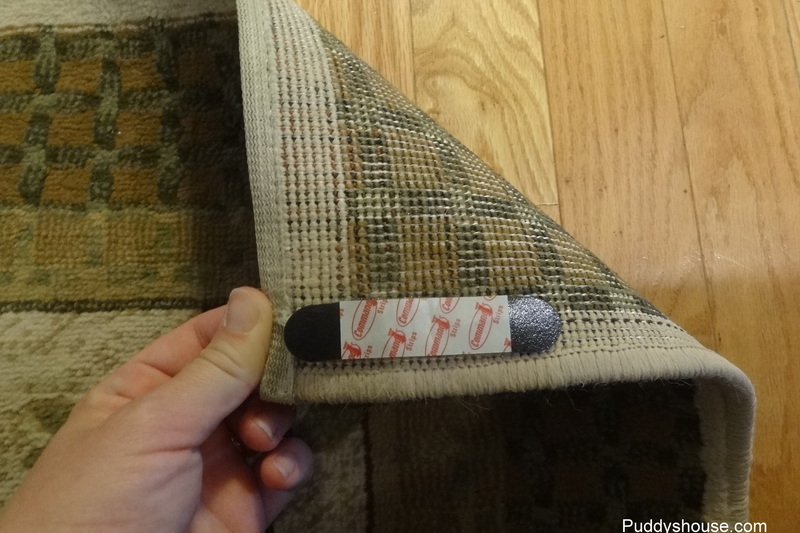 So, this weekend, I tackled the simple project of removing the old rug gripper, and replacing it with the rug anchors. The dusty, dirty rug gripper got removed first. Then, I just followed the step-by-step instructions on the back of the rug anchor package. I separated each of the 4 strips. Then I attached the tan strip to the black strip. 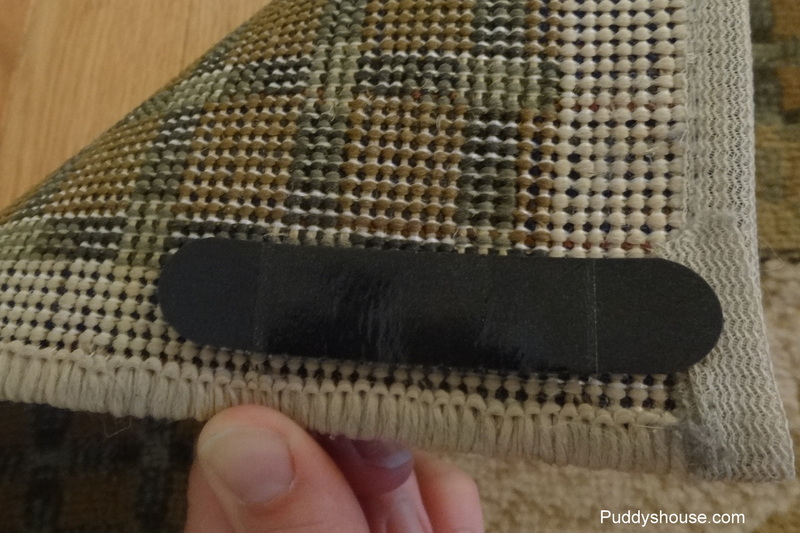 For each corner, I removed the tan backing and attached it to the underside of the rug corner. Then, I removed the backing for the black side. 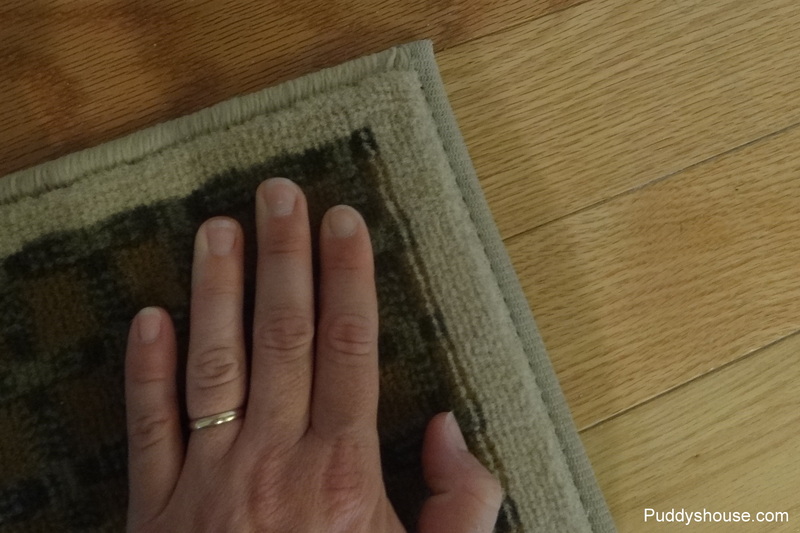 And, the final step was to press the rug into place. I repeated the process for all four corners and now we have both rugs secured with the 3M Rug Anchors, so we can avoid the daily replacement of the rugs. Puddy had to show off that the rug doesn’t move for him anymore! 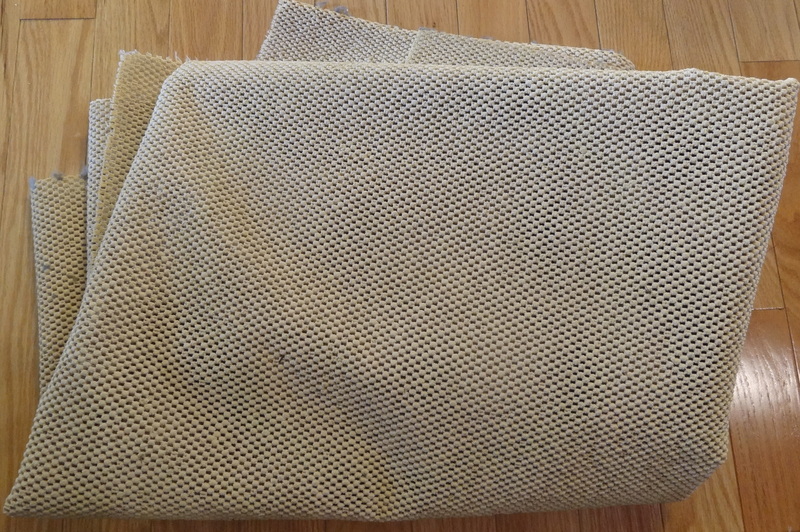 Has anyone else used the 3M rug anchors? Any other solutions for keeping your rugs in place? I used duck tape donuts on my little bathroom one because I needed a quick fix. Can you wash the rug with them on? It says they are only hand washable. Duck tape is a good quick and easy fix though! I wouldn’t have thought of it. I won’t be washing the rugs I used the anchors on, so i was mainly concerned with being able to lift them up to clean underneath easily.